The Count creates a few souvenirs for fans at a mid-'40s "In Person" store appearance. Where or exactly when, let us know if you do. But it was no doubt close to the period represented by the offering below. My first opportunity to see the great Count Basie came in 1972, when I was a college junior. The band came to Ithaca, NY, and played at a concert hall downtown that had opened to much fanfare a year earlier. I knew somebody working the door and got in for free. 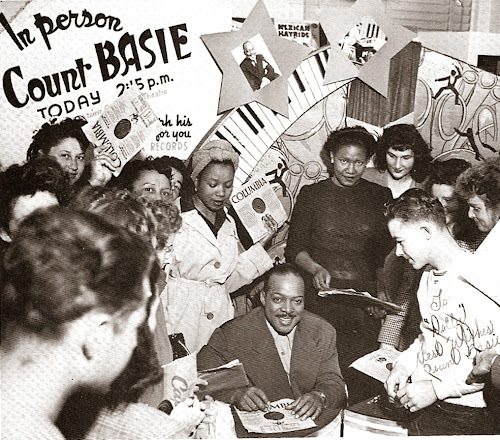 But I was deeply into the avant garde at the time and Basie was, well, old news. I hung around for fifteen minutes – long enough to say I'd seen the band – and then went off into the night to persue whatever it was that 20-something hippie children did in the night back then. Too bad, because that band was a killer group (as nearly all his bands were) with Eddie "Lockjaw" Davis back on tenor, Al Aarons on trumpet, Al Grey's trombone, and Eric Dixon and Charlie Fowlkes filling out the reed section. My next chance to see the Kid from Redbank came eight years later at Chicago's massive annual jazz festival. A free event featuring a who's who of jazz stars over three days, the festival brought in the Count Basie Orchestra as the Saturday evening closer. This time I caught the whole show and loved it. The Count was ailing by then – he came on stage on one of those motorized chairs you see in grocery stores these days. But the band swung massively and rocked the huge crowd with the Loop's skyline in the background and a colossal, starry sky overhead. Four years later, Basie was gone and the jazz world had lost the man who had taught the world to swing. Needless to say, I was very grateful I had been able to see him at the helm of his extraordinary organization. 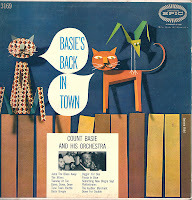 But now Basie's back. At least, he is here on Gems. 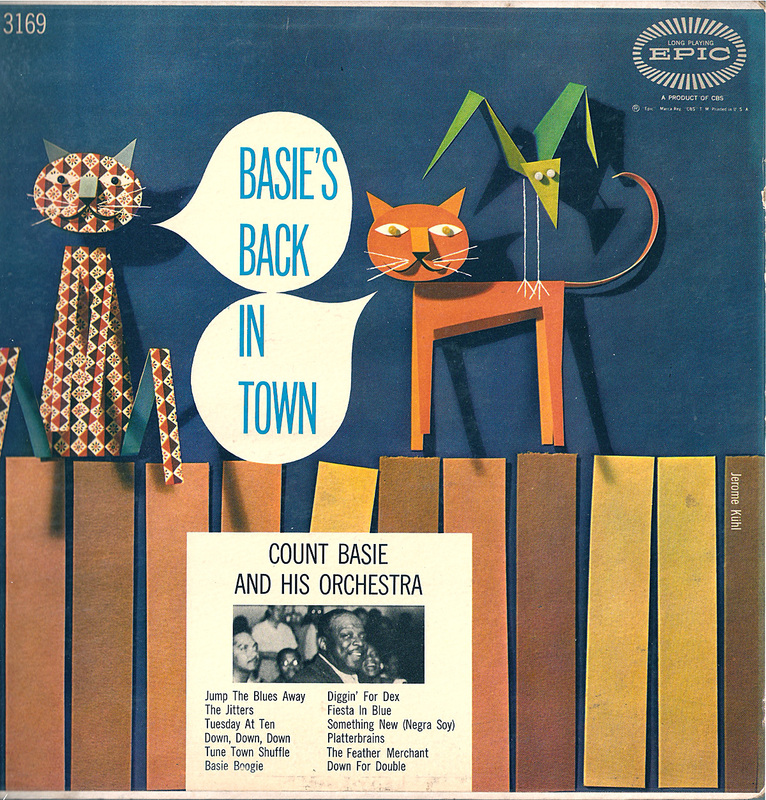 We posted an offering of Basie-as-pianist a while ago, and decided to include this hard-to-find Count material as a complement. 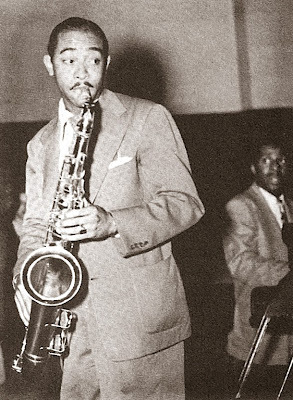 It's the orchestra from 1941, a period when the Count had lost his two star tenors – Lester Young and Herschel Evans – and was running out his Columbia contract with the thought of moving over to RCA. Don Byas at a recording session in the mid-'40s. Not there isn't plenty of star power here. Buddy Tate blows for Evans and the great Don Byas is in for Lester. Byas, who had scored a hit for Basie with his solo on "Harvard Blues," would go on from here to be a fixture on 52nd Street and the reed man in one of Dizzy Gillespie's first bebop combos. His duets with Slam Stewart at a 1945 Town Hall concert remain some of the most amazing performances in jazz history. On these sides, he gets ample solo space, and you can hear shades of things to come. The tunes on this download aren't all that memorable, but the band plays them with verve and panasche. 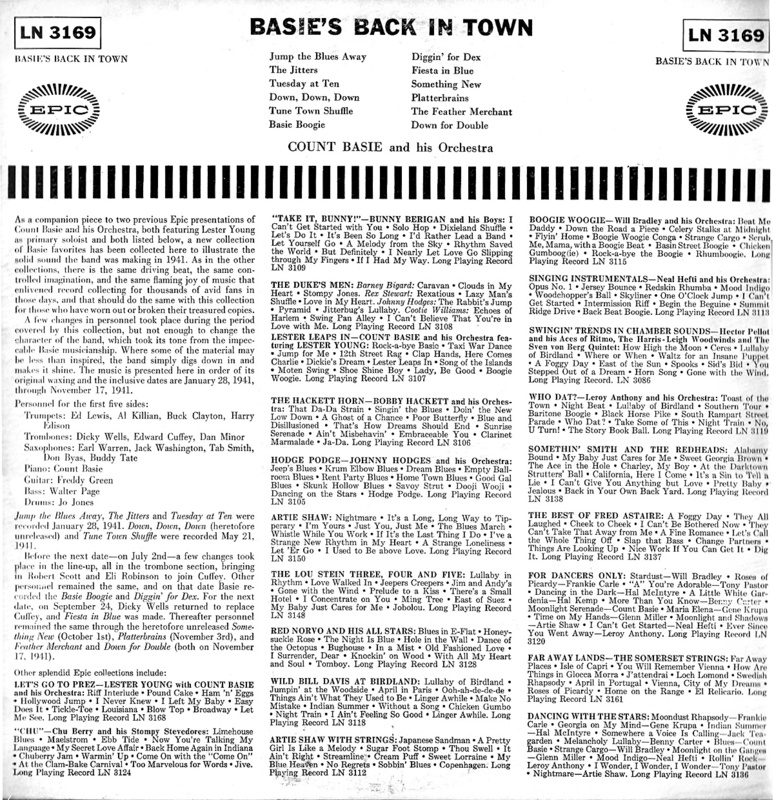 You get a real sense of the voluminous amount of material the Basie Band (and all the other swing groups) must have cycled through its book over the many years of its existence. Yet the guys continuously gave it their all, just as they do here. Inspirational! This LP comes probably from some long-forgotten thrift store foray. 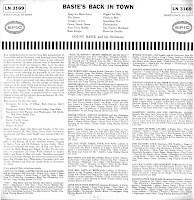 It is one of three Basie reissues that came out in 1955 on Epic (the other two feature Lester Young). It's in excellent shape given its years, but Side 2 required a bit of cleaning up in places. I think you'll approve. The music in this download comes, as always, right from the original vinyl. Basie, p; Ed Lewis, Al Killian, Buck Clayton, Harry Edison, tp; Dicky Wells, Ed Cuffee, Dan Minor, tbn; Earl Warren, Tab Smith, as; Buddy Tate, Don Byas, ts; Jack Washington, bar; Freddie Green, g; Walter Page, b; Jo Jones, d.
Omit Jones; add Kenny Clarke, d.
Omit Clarke, Wells, Minor; add Robert Scott, Eli Robinson, tbn; Jo Jones, d.
Omit Cuffee; add Dicky Wells, tbn. Personnel as above, add Jimmy Mundy, arr. Omit Wells, Smith; add Ed Cuffee, tbn. David, thank you for deciding to share this one. As I mentioned, I believe this is one of the more over looked and under appreciated periods of the Basie Band. The loss of Pres and Evans was tough, but Don Byas is no slouch, neither is Buddy Tate. As our brother-in-jazz Phil Schaap stated during his Jo Jones broadcasts, the band members he knew felt this episode of the band sounded great because they had some money and were upgrading their instruments. If I'm not mistaken, this is also a period where the band arrangements began to be arranged as opposed to head arrangements (a plus or minus depending on your view point). All and all, a solid, swinging effort. Thank you, again, for sharing. I may need to strike or revise my last statement in my previous comment. I forgot the great Eddie Durham, who wrote and arranged many of the bands sides.